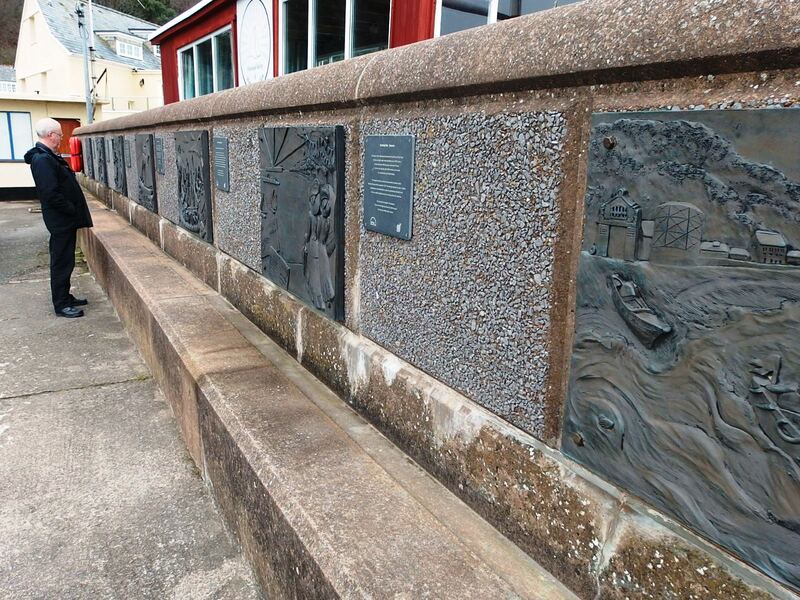 There’s a fascinating set of plaques along Minehead harbour wall, with room to sit and stare awhile to look for the answers to the puzzles posed alongside (as well as what each piece represents). 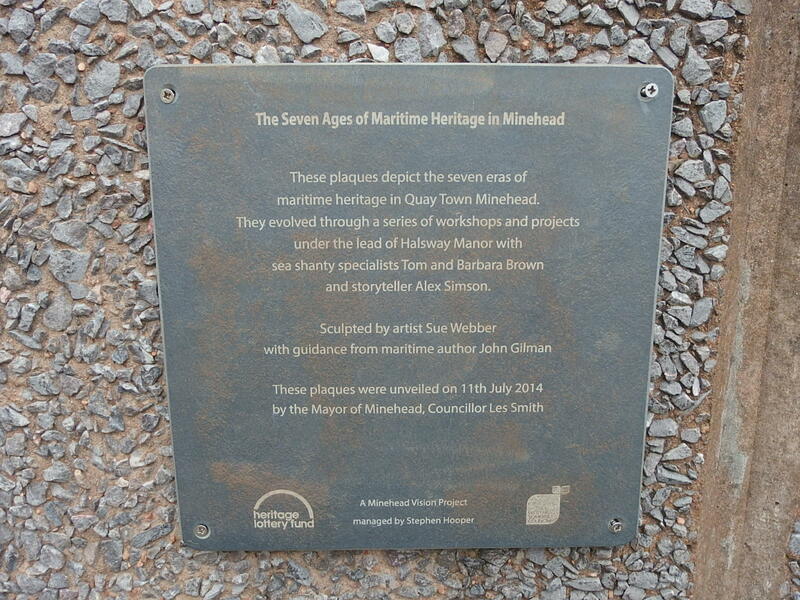 Here’s some information – I would have loved to hear the sea shanties. We have sung the Halsway Carol at choir as in Halsway Manor mentioned below. For me, one of the highlights of a trip on the West Somerset Railway is seeing the above quotation on a building as the train pulls into Watchet station. 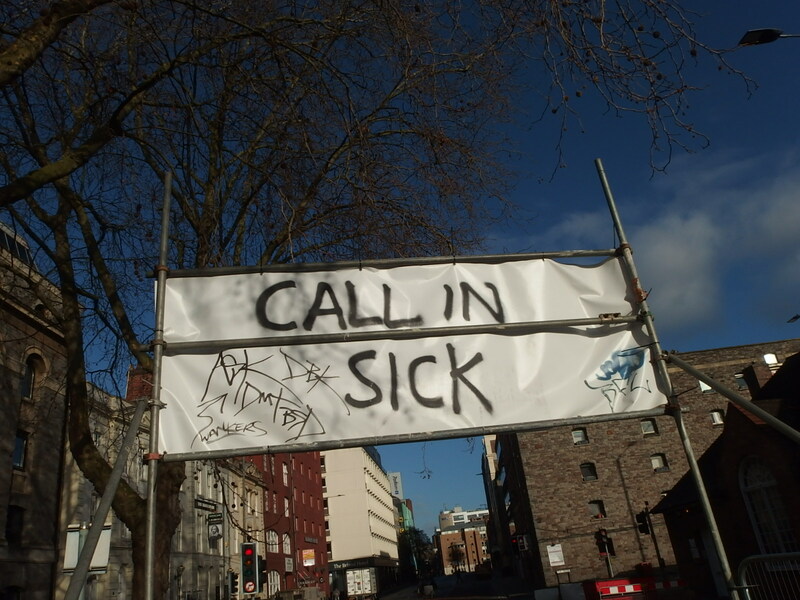 Sadly on Sunday it wasn’t to be seen. 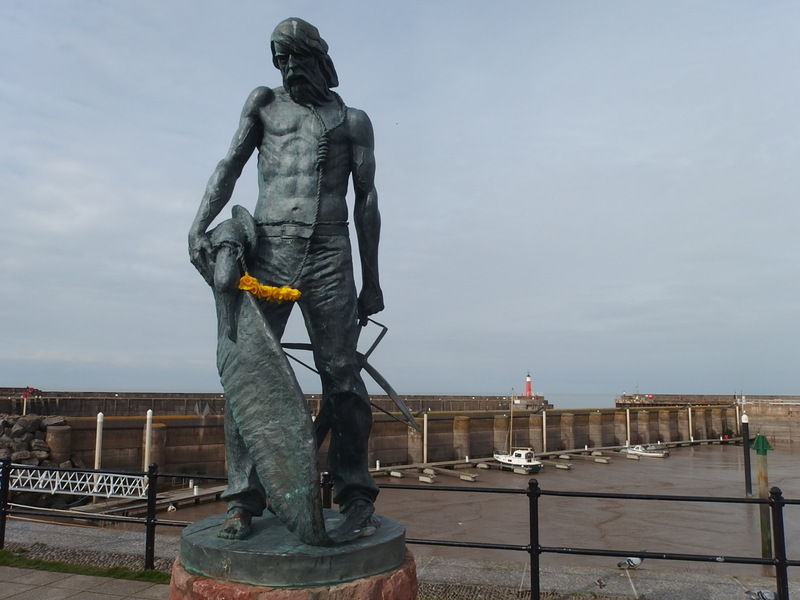 However, we did find the Ancient Mariner’s statue by the harbour. 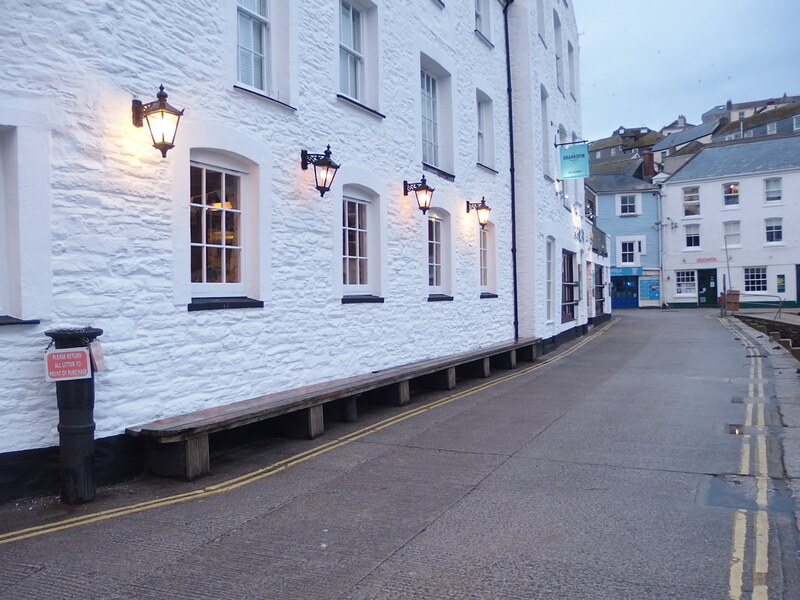 The town is proud of its connection with Coleridge and being the inspiration for one of his most famous poems. I love how this has been translated into the statue’s floral adornment. Perhaps the daffodils are a nod to Coleridge’s friendship with Wordsworth? At Washford station we learnt how the harbour at Watchet was made into a floating harbour like the one at Bristol for the Millennium, but the alterations led to problems with silting and the constant need for dredging. Here’s hoping Watchet harbour isn’t on course to being becalmed, just like the Ancient Mariner. It’s a lovely place to visit. 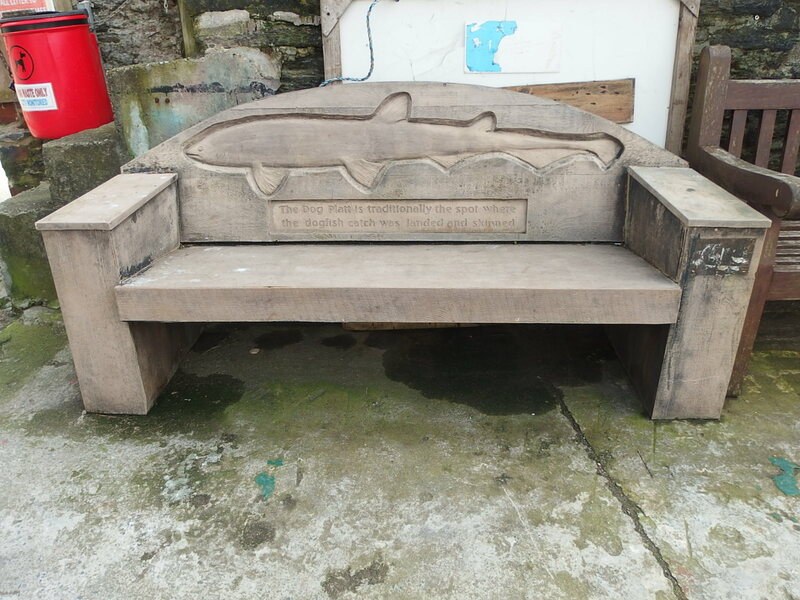 This seems an unusual combination for sale, until you realise I saw this in the harbourmaster’s office, where plenty of boaters want ice for their drinks and worms for their fishing.